When 25-year-old Stephanie Brilla needed a follow-up appointment with her surgeon after having her appendix removed, she was able to do it in her office during her lunch hour. She closed the office door and spent 10 minutes on a video visit with Vahagn Nikolian, M.D., a general surgery resident. As the leasing manager of a high-rise in Ann Arbor, Brilla is a busy professional with little time to schedule doctor appointments during daytime hours. “It was just so convenient and efficient. I appreciate that I was offered this option,” she says. Brilla is among the growing number of Michigan Medicine patients participating in an innovative new approach to medicine: Surgery eClinics, through which follow-up visits are conducted via video conferencing. Similar to the house calls of old, the eClinic underscores the importance of the doctor-patient relationship. Patients are seen during a time that works best for their schedule by logging into the Michigan Medicine Patient Portal with a mobile device and clicking on the Video Visit icon to start their clinic experience. Much like Skype and FaceTime applications, Surgery eClinic visits allow patients to engage in face-to-face conversations with their providers with added security and privacy protection to allow discussion of personal health information. Patients are scheduled for a 15-minute appointment, and rather than being seen by multiple providers, they spend the entire appointment discussing their case with their surgeon. eClinics are now being used in the Division of Gastroenterology, the Department of Urology, and the Section of General Surgery. Larry An (M.D. 1991, Residency 1994, Fellowship 1997), medical director for the Telehealth Program at Michigan Medicine, says eClinics could play an important role in Michigan Medicine’s goal to increase the number of patients cared for locally and statewide, while also improving the value of care. The concept of telemedicine and video-medicine isn’t new. Its application in the field of surgery, however, has been relatively limited. Nikolian is one of the people who has worked to make the Surgery eClinics a reality. He points out that the average length of patients’ visits, from check-in to check-out, is roughly 90 minutes. “I wanted to find an easier way to see select patients,” he says. Alam says Michigan Medicine is at the cutting edge of using eClinics in a surgical setting. More than 250 patients between the ages of 18 to 78 who have undergone operations such as removal of the gallbladder or appendix have used the Surgery eClinics (these data have been accepted for presentation at the American Surgical Association annual meeting). So far, the program has proven to be efficient and safe, with no patients demonstrating significant complications or requiring reoperation, he says. Patient surveys indicate that the vast majority of participants would use the service again and recommend it to friends and family. The official eClinic rollout in Surgery, which occurred in March 2017, was made possible using General Surgery discretionary funds. Resources involved so far haven’t been extensive, Alam says, because existing personnel are being used to adapt MiChart and the Patient Portal to use videoconferencing. Surgery Department Chair Michael Mulholland, M.D, has seen roughly 50 patients through eClinics. “They love it and so do I,” he says, adding that patients who are more comfortable in their own home are also more forthcoming. He points out that the process is so efficient, it has increased the number of patients he can see and allowed him more time to teach. Additionally, he adds, the eClinics easily could be expanded to include pre-operative workups and patients undergoing pre-habilitation before surgery. Mulholland cautions, however, that not all patients are candidates for eClinics; those who are sicker and have more complicated surgeries need to be seen in person. Alam and Nikolian envision Surgery eClinics filling a role for new patients as well, which could decrease the waiting time before surgical consultations. As technology has advanced, the use of laboratory data and imaging studies often defines the problem without requiring an in-person examination. In this context, patients have the opportunity to establish a robust relationship with their doctor through the video visits prior to the procedure. “We’re just scratching the surface of how this can really benefit patients,” Nikolian says. Ryan Stidham, M.D., M.S. (Fellowship 2011), assistant professor of medicine, began experimenting with the eClinic concept three years ago. While Michigan has a rich telehealth history, offering videoconferencing as an alternative for in-person consultation was uncharted territory. He then approached Michigan Medicine leadership about developing tools for video visits through the existing electronic health record and patient portal systems. It wasn’t unusual for Stidham’s patients to drive eight to 10 hours for appointments that benefitted little from physical exams. For his patients, who have Crohn’s disease and ulcerative colitis, many tests can be performed locally and results can be reviewed during the video visit. 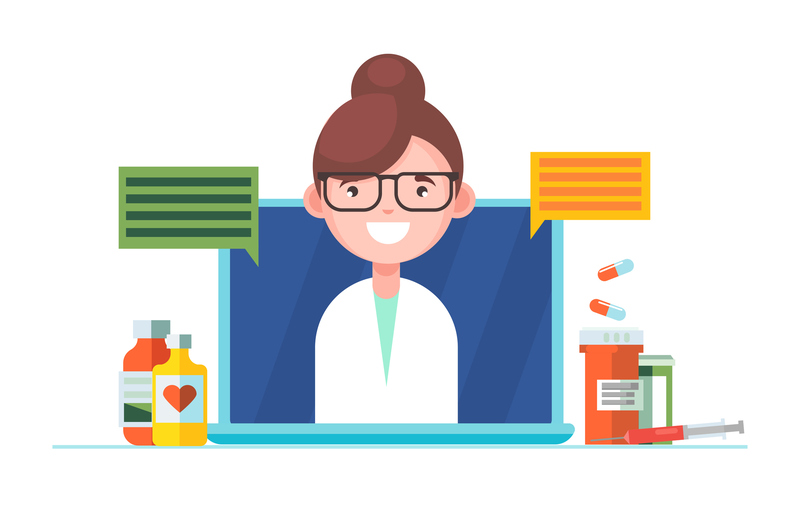 Since most of his meetings with patients focus on the discussion of appropriate medications and treatment plans and educating patients about often complex regimes, consultation often can be handled by a video visit. Chad Ellimoottil, M.D., assistant professor in the Department of Urology, adds: “It’s an extremely efficient way to deliver care.” Ann Arbor resident Sandy Wiener, 80, is one of the patients who appreciates this efficiency. One recent eClinic visit after his prostate surgery took just 10 minutes in the comfort of his home office. “It’s so much easier and better. It makes such wonderful, good sense,” Wiener says.